Casa de Vila Nova Vinho Verde wine brings a refreshing, royal touch to summer festivities. The Lencastre family is of royal Portuguese lineage – descended from Antonio Pinot Garces Mandureira, who was named the First Barão da Varzea do Douro by Portugal’s Queen Maria II on July 16, 1846. 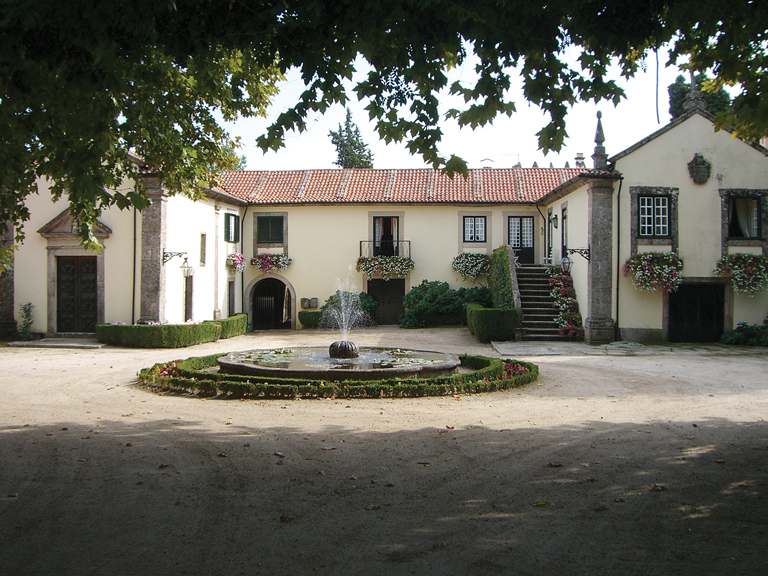 The family’s royal residence is Vila Nova, near the town of Penafiel and close to the eastern border in Portugal’s Vinho Verde wine region – about a 30-minute drive east from Oporto. The land has been in the family since the 12th century, and the only remnant of that time is an ivy-covered stone tower, now totally surrounded by Vila Nova, that was built in the 1700s. 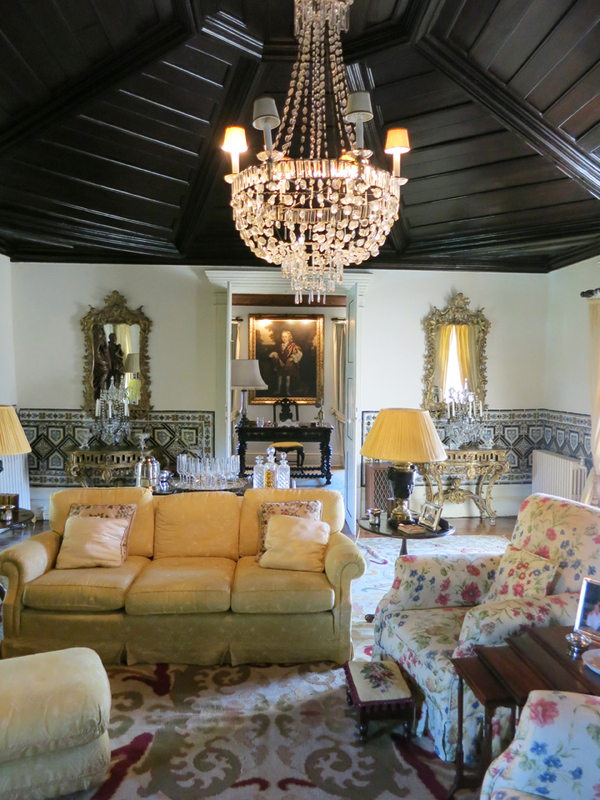 Over the centuries, additions were made to the original Vila Nova, and it is now a sprawling grand home and filled with antique pieces, like a covered red-velvet “sedan” chair from the 1700s that graces the front room, that speak to the family’s history and heritage down through the centuries. 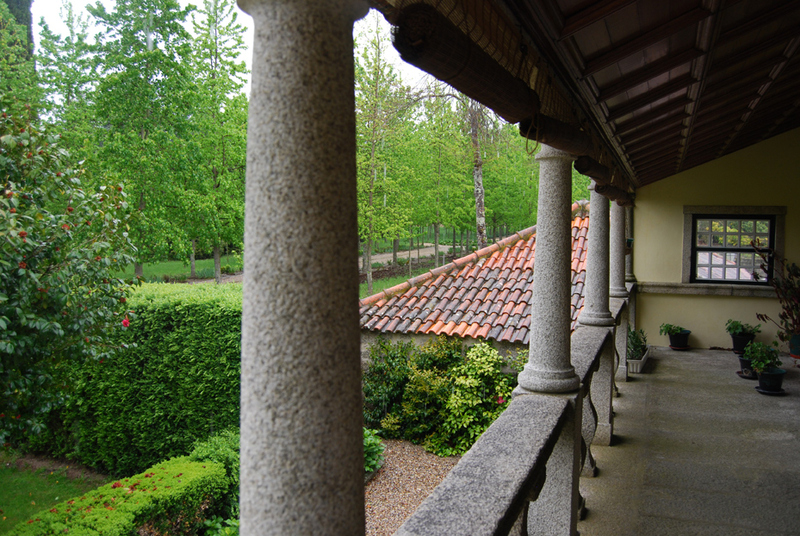 Like most of the Portuguese villas of that time, it also boasts a highly decorated family chapel where the Catholic Lencastre family has worshiped since it was added to the house in the early 1800s. In the late 1970s, the family planted white grape vines over 29 acres, mostly the native Portuguese varietals that are most often used in Vinho Verde wines – Loureiro, Arinto, Avesso and Trajudura – but they did not make wines under their own label. In 2003, Bernardo Lencastre, who will be the Fifth Baron in the family, took over the property with his siblings. 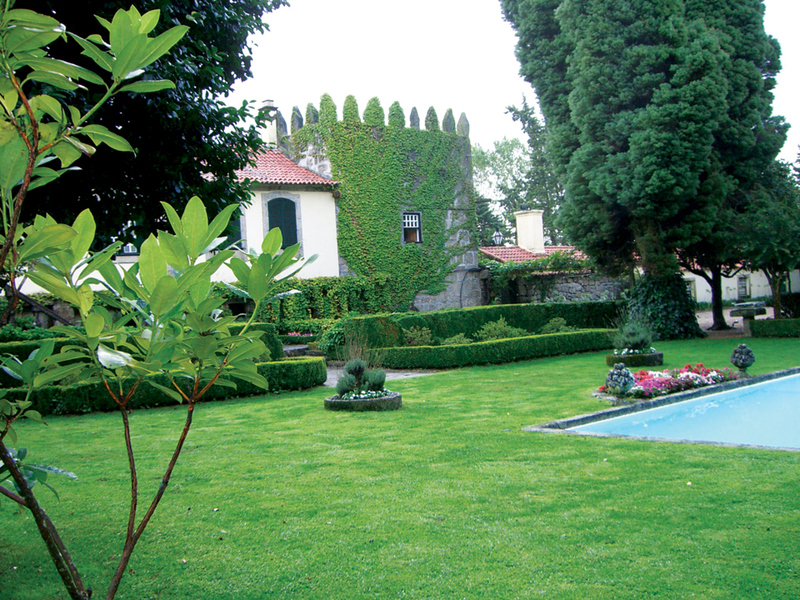 Bernardo revitalized the vineyards and started making Vinho Verde under the Casa de Vila Nova label. He also spearheaded efforts to make Vila Nova the showplace it is today. Among the renovations, the tower was turned into the house’s kitchen, with modern appliances hidden away behind wooden cabinets that evoke what a Portuguese kitchen would have looked like in the late 1800s. Portuguese china, in a delicate blue floral pattern made especially for the family, fill the mid-19th century china cabinet, while silver serving platters with the Lencastre family crest are displayed on the mantel over the stone fireplace in the formal dining room. There is even an old-fashioned den, much as it was in the early 20th century when the Third Baron, Bernardo’s grandfather, lived there. His vast collection of hunting rifles fills the room. With summertime here, the go-to wine in Portugal is Vinho Verde. Its light, crisp, somewhat mineral bouquet and palate, often exhibiting peach and orange flavors, is perfect to accompany the many dishes prepared with cod fish, which is a staple in this country with a long coast along the Atlantic Ocean. 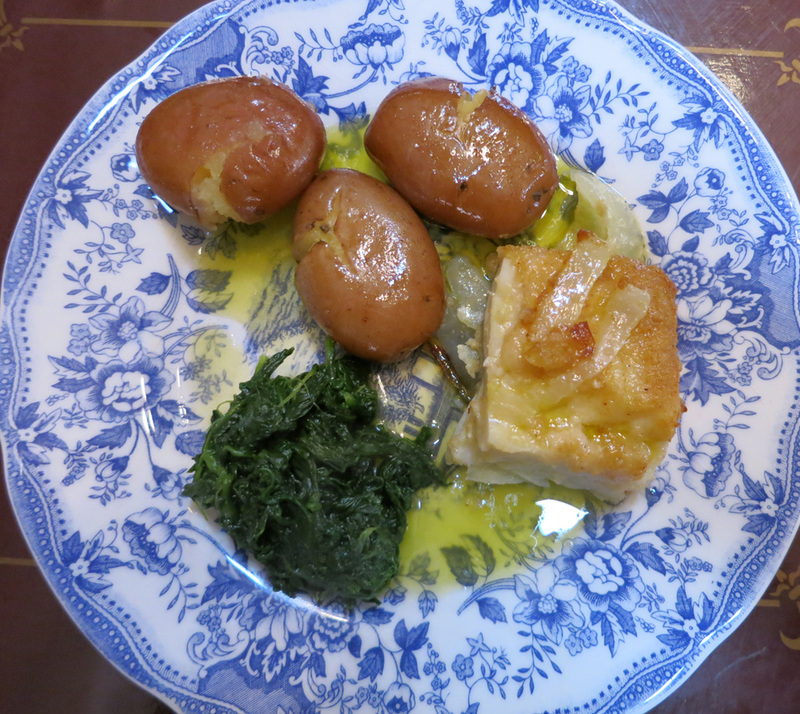 At Vila Nova, their longtime cook prepares Bacalhau Assado O Forno (cod, baked in the oven), with onions and garlic, served with roasted small potatoes and sautéed kale, which is another staple of Portuguese cuisine that predates by centuries the new-found popularity of this vitamin and antioxidant-rich vegetable. The Vinho Verde in the Casa de Vila Nova label, which is a blend of Loureiro, Azal and Avesso grapes, holds its own beautifully with this and many others of the seafood-based dishes served at Vila Nova, but it would be equally delicious with summer salads and various chicken recipes that find their way to U.S. tables during the hot summer months. It adds a “royal touch” to pool parties, picnics or other summer fun, served chilled on its own, or as part of a meal.